IL Exterior: Construction of Village Shalom’s new independent living community will begin in the early spring. Completion is set for the fall of 2019. 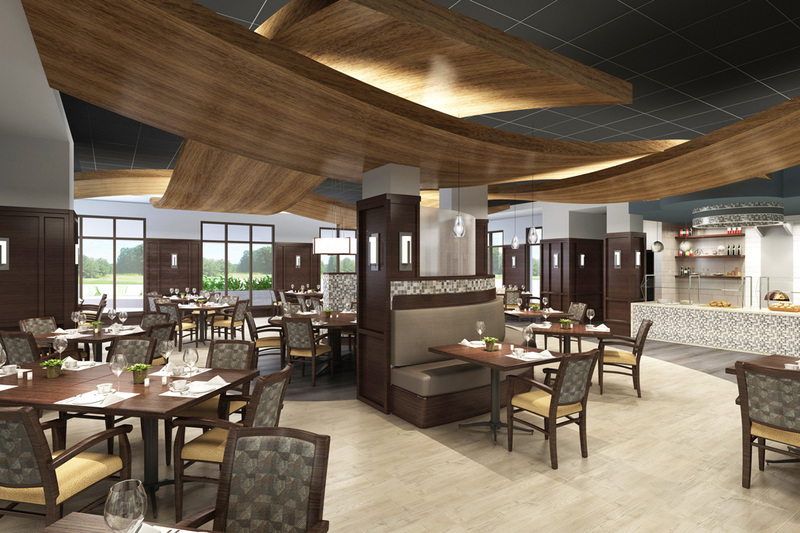 IL Dining Room: The new community will feature a number of high-end amenities and services including an elegant casual dining restaurant with private and outdoor seating options, and a demonstration kitchen with multiple serving stations and a brick oven. Villa: Village Shalom’s existing independent living option, The Villas, feature maintenance-free living in a collection of free-standing and attached villas with all the comforts of home. Village Shalom and its predecessor communities have been serving Kansas City families of all faiths for generations. 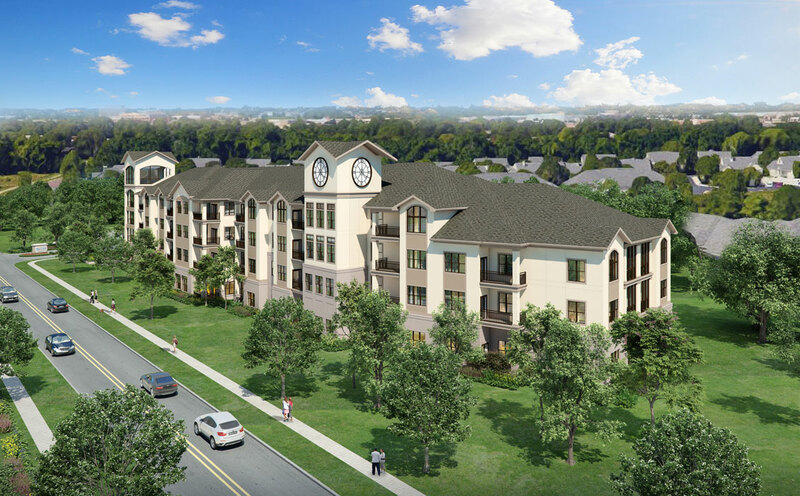 In the early spring, Village Shalom will break ground on the next generation of retirement living in the form of a campus expansion that will nearly double the size of the Overland Park Continuing Care Retirement Community (CCRC). The expansion will include a 76-residence independent living apartment community with a number of high-end dining and service amenities and a hospitality-oriented approach to active living. It will also include a new 48-residence free-standing memory care community and a repurposed resort-style short-term rehabilitation center with expanded therapy space and state-of-the-art equipment. Construction is on-track to begin in the next few months and completion is set for the fall of 2019. Located at the corner of 123rd Street and Nall Avenue in south Overland Park, Village Shalom is right around the corner from the dining, shopping and entertainment options of Town Center, Park Place, Prairiefire and Corbin Park. It’s also just minutes from the major Kansas City area arteries of I-435 and Highway 69. The new independent living community will feature six one- and two-bedroom open-concept floor plans ranging from 840 to 1,470 square feet. A limited number of luxury combination suites in excess of 2,000 square feet are also available. Each apartment will include an outdoor patio or balcony, an on-floor storage locker and a secure underground parking space at no additional cost. Select floor plans feature vaulted ceilings and multiple outdoor spaces. 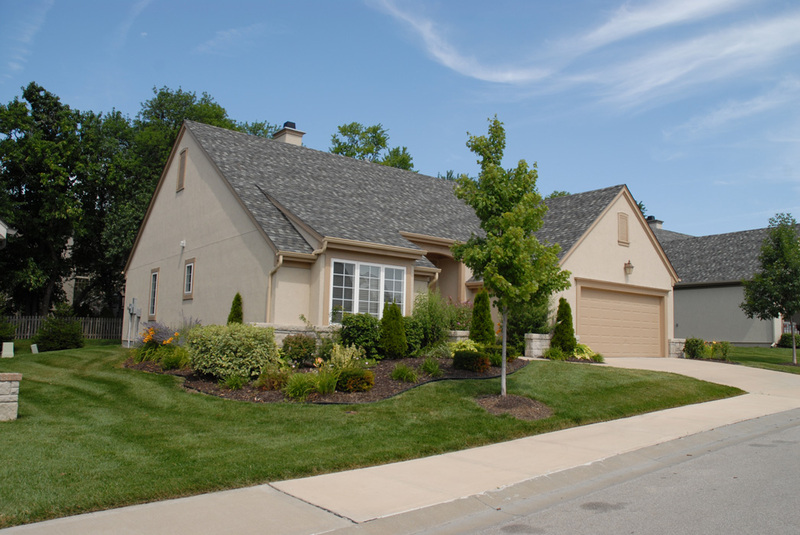 These elegant homes will provide maintenance-free living with weekly housekeeping services. The monthly fee will also include one meal per day, utilities, transportation services, a membership to Village Shalom’s on-campus pool and fitness club, countless life enrichment opportunities and access to Village Shalom’s full-time concierge. Residents also receive a $60,000 per person benefit to offset the cost of future care on Village Shalom’s continuing-care campus should they ever need it. The Main Street corridor will be the hub of the new independent living community and feature a number of high-end amenities and hospitality services. Main Street will include a casual dining restaurant with private and outdoor seating options, a multi-use theater, a bar and bistro serving quick-service dining options and cocktails, and a day spa that will offer hair, manicure, pedicure, facial and massage therapy services. There will also be additional community rooms that feature card and game tables, exercise equipment and an art studio. These new independent living amenity spaces will also be available to residents of Village Shalom’s existing independent living community, The Villas. The Villas are a collection of attached and free-standing homes ranging from 1,350 to 2,000 square feet. These maintenance-free villas include all the comforts of home such as attached garages, private lawns and patios. All of these open-concept floor plans have two bedrooms, two baths, full kitchens and high ceilings. Reservations for the new independent living accommodations are underway. The reservation process allows for future residents to secure their exact location and floor plan, with a refundable deposit. Those who reserve early will have the opportunity to personalize their new homes by selecting paint, flooring, cabinetry and granite countertop finishes. Those who choose The Villas have the opportunity to extensively customize their home to make it their own. Village Shalom also provides move-in coordination services to help with downsizing, packing, unpacking and hanging pictures. Additional information for The Villas and the expansion apartments is available online at www.VillageShalom.org/Independent-Living. To learn more or to schedule a visit with one of Village Shalom’s retirement experts, call 913-266-8300. Next Post Take a Minute to Read This... Your Family's Future Harmony Could Depend on It!